CONMEBOL Recopa – Dates confirmed The South American Football confederation has released the dates in which the matches against Brazil’s Atlético Paranaense will take place. 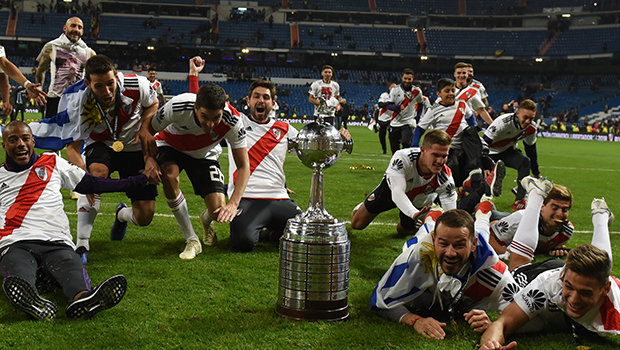 After the historic victory against Boca Juniors in Madrid for the 2018 Copa Libertadores, Marcelo Gallardo’s team will go for a new international title: in May, they will play against Brazil’s Atlético Paranaense, which won the last edition of the Copa Sudamericana, for the Recopa. The first leg will take place on May 22nd on Brazilian soil, while the decisive match will be played on May 29th, at the Monumental stadium. The time for both matches is yet to be confirmed.